Pat Metheny (electric & acoustic guitars, guitar synth, electronics, orchestrionics, synths); Chris Potter (tenor sax, bass clarinet, soprano sax, clarinet, alto flute, bass flute); Antonio Sanchez (drums and cajon); Ben Williams (acoustic and electric bass); Giulio Carmassi ( piano, trumpet, trombone, french horn, cello, vibes, clarinet, flute, recorder, alto sax, wurlitzer, whistling and vocals). 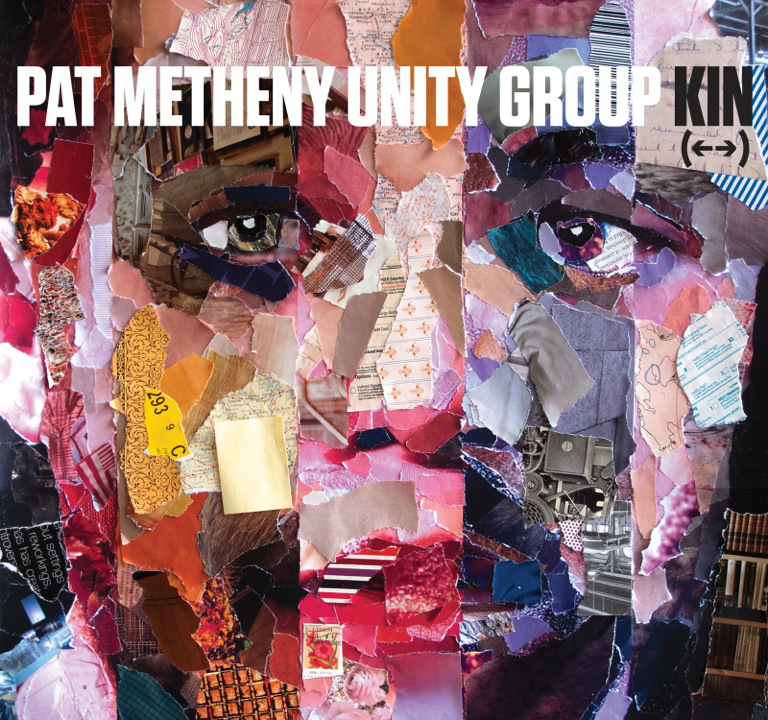 This album is classic Pat Metheny for those who are familiar with his work and for those who are not this is a great place to start. The opening track on the album On Day One is an extended rip roaring ensemble fusion piece with hints of Steve Reich style passages utilizing a variety of electronic wizardry, hand claps and anything else the band can get their hands on. Midway through the track there is a pyrotechnic saxophone solo from Chris Potter and the finale ends with some atmospheric vocals. Rise Up begins with a Latin feel acoustic guitar solo and soon livens up with some high energy playing. Another Metheny solo, this time on electric guitar, leads us into a blast by Chris Potter before we end once more on a vocal led exit. After these wild opening tracks we are brought down to earth again by the almost classical piece Adagia. Sign of the Season is a fairly gentle bass led number. The title track Kin (ß à) showcases Metheny’s haunting guitar style, I am not sure what the left and right arrows stand for possibly the midpoint of the album? A beautiful ballad Born follows which is simply delicious. We Go On has a very catchy almost easy listening melody. Finally Kqu another eloquent ballad completes this thoroughly enjoyable album.